Our expert technicians handle hundreds of paintless dent repairs… on each vehicle… every day. Over 40 years of professional paintless dent repair experience. Our expert technicians restore most minor auto body damage without traditional sanding, body fillers or painting to retain the original finish. After the Storm, We Fix the Dents! Express Hail Repair is your Local Auto Paintless Dent Repair Connection. STOP waiting in the Body shop line. We offer many solutions to your repair needs. We not only save you money on the repair, but in many cases we can save you money during the repair by returning a fully restored vehicle in two to three days… unlike the traditional body shop which on average can take two to three weeks. Contact us today to find out how we can take the hassle out of auto hail damage repair at the same time saving you money. Our local shop is located in Magnet Cove. 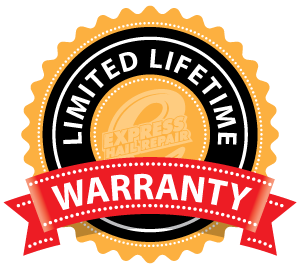 Paintless Dent Repair Experts | ©2019 Express Hail Repair | Developed by NuMedia Marketing, Inc.